There is somewhat of a mystique around Royal automobiles. I guess it is because of America's lack of a Royal family, unless you look at the Kennedy's. King Edward VIII took the throne shortly before the start of World War II. He would eventually abdicate the throne for his love of an American woman, Wallis Simpson. The pair would marry and become the Duke and Duchess of Windsor and eventually called the Waldorf Astoria hotel in New York City their home. During their time in New York they had a car that was quite literally made for a king. General Motors under the direction of Alfred P. Sloan and Harley Earl designed this very unique 1941 Cadillac limousine which the Royal couple affectionately referred to as the Duchess. Duchess was outfitted with a cigar humidor, four yes 4 jewelry cases, a special broadcloth interior, many gold plated appointments and even hydraulic powered windows. 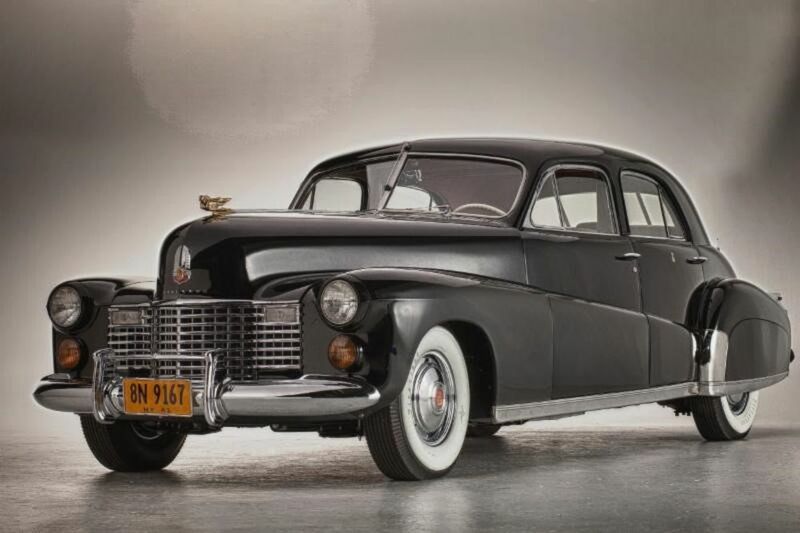 The car was literally a one off creation as it shared no 1941 production Cadillac body panels. The flowing lines of the front fenders through both doors and a lower roofline. Many of the styling cues eventually found their way to GM's Buick division and were also borrowed by coach builder Hooper for use on Rolls Royce cars. The car will be displayed at the 22nd annual Amelia Island Concours d'Elegance on March 12th.